As you may know, Liberland is supported all around the world, and sometimes it’s even hard to attend all events, as some of them happen simultaneously. We already talked about simultaneous events in both Ukraine and America, and you might remember that while many people supporting Liberland attended our third anniversary in the Balkans, another event also happened at the exact same time. 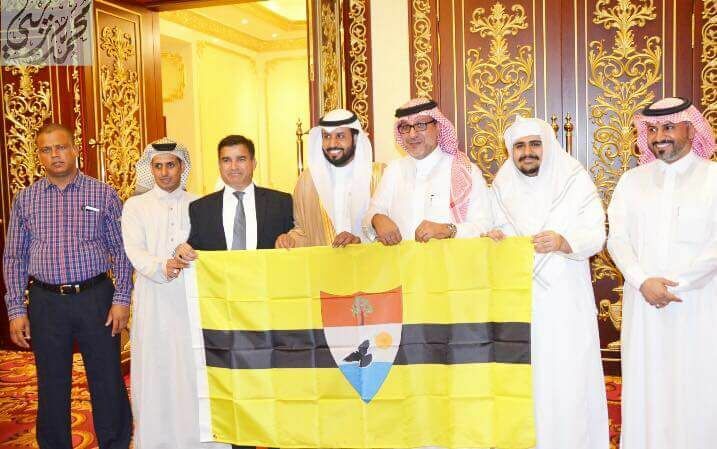 Indeed, there also was an event in honor of the Free Republico of Liberland in Jeddah. After a welcoming speech, narrating how far Liberland had advanced in three years, Abdulelah Alyahyah, who organized the event, explained the future of Liberland to the audience and insisted on all the partnerships that Liberland could settle. More recently, Liberland had already received positive coverage from the biggest Saudi Newspaper, and now, the official state channel of Saudi Arabia is talking about Liberland. 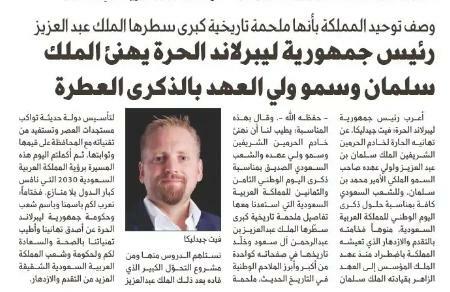 Indeed, Liberland has warmly praised Saudi Arabia’s support of the peace agreement between Ethiopia and Eritrea (another official publication here). Due to its philosophical roots, Liberland is not a country that gets involved in local or international conflicts. On the other hand, our culture based on voluntary collaboration pushes us to warmly congratulate any country that acts towards peaceful relationships with its neighbours.